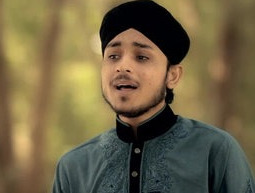 This young, amazing, talented, superstar Naat khawan ‘Farhan Ali Qadri’ is well known in every corner of the world, for his melodious voice and unique style of expressing his great love toward Allah and the Prophet Muhammad (Peace Be Upon Him) through the beautiful naats that he recites. Ferhan Ali Qadri is just 12 years old. Ferhan Ali Qadri is a student of 7th class. Farhan Ali Qadri has a big talent and with sweet voice. Farhan Ali qadri when he was just 11 years old spoken with a great voice and was famous with his best live performance. In the list of Naat khuwan he was known as a big live performer. On 12-Rabi-ul-Awal thousand of People was come to watch his life performance. Farhan Ali Qadri Naats consider faith life in Naat Field.